Snow haulers and shovelers needed tonight! Snow haulers and shovelers needed tonight to move snow onto icy sections of the Sonot Kkaazoot trail on the Chena River under the Wendell Street and Steese Hwy Bridges. There is highway gravel embedded in the ice that needs to be well-covered with snow. 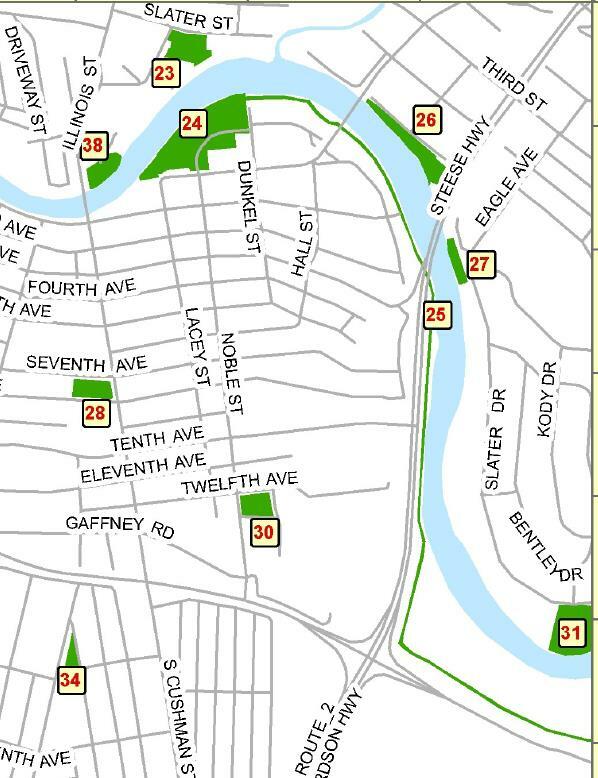 Park at Graehl Park (#26 on the map below) and bring snow shovels starting at 5:30 p.m. tonight. Groomers will have large sleds for moving snow to where it is needed. This entry was posted in 2014 Sonot Kkaazoot information, Sonot Kkaazoot race organizers, Uncategorized and tagged Volunteers with snow shovels needed by Sonot Kkaazoot. Bookmark the permalink.